5 Bedroom Cottage House To Rent in Marlow for £5,000 per Calendar Month. 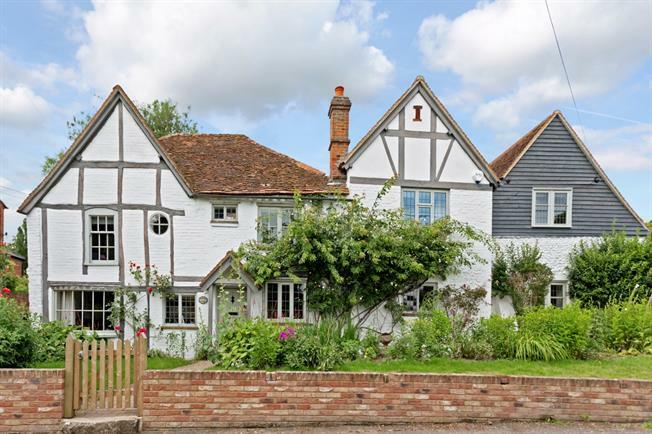 PREMIUM - A truly charming and lovingly refurbished 16th century cottage with connecting 18th century barn, located within the picture postcard village of Little Marlow. The Cottage was fully renovated in 2013 including under floor heating and raised ceilings, yet has kept all original beams, fireplaces and extra attention has been made to enhance all the original features. The ground floor consists of drawing room with wood burner, study, family room, utility room and cloakroom - A stunning open plan dining/living room/kitchen with large vaulted, beamed, double height ceiling occupies the whole right side of the house - Neptune fittings and fixtures throughout, new appliances including a Mercury Range oven, wine fridge and hot tap. The Kitchen also has double aspect sets of doors leading to a secluded court yard one side and beautiful garden with terrace on the other - an amazing social/family space. Five double bedrooms on the 1st floor with gorgeous views over the village cricket pitch. Family bathroom and en suite. The village has two pubs, pre-school and infant school, cricket club and a lovely community feel and is only a short walk to the Thames. Available June. Little Marlow is a unique and much sought after village with a cricket green, two excellent public houses, church, pre and infant school, farm shop and antique store. Little Marlow is a pretty village within close proximity of Marlow Town. Beautiful landscaped gardens, patio area and parking.